That is such a pretty card. I like how it is stamped off the top layer. 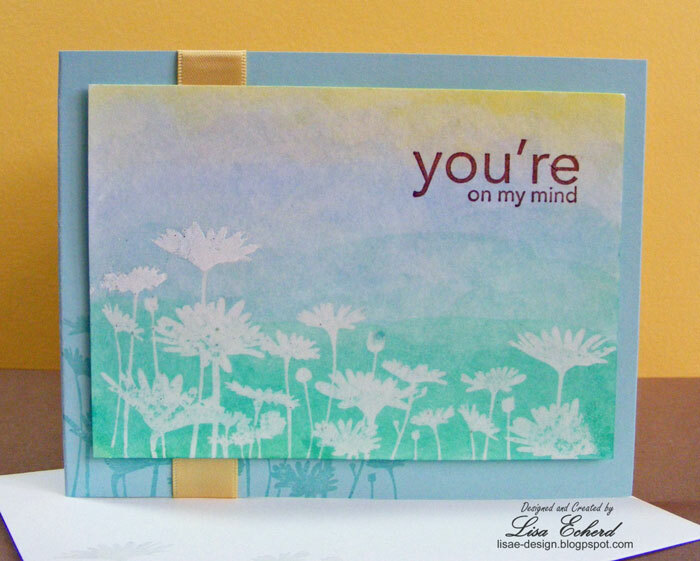 Love how you did the emboss resist. Great job! Beautiful card! I have this set and I love it. The way you did the background is perfect.